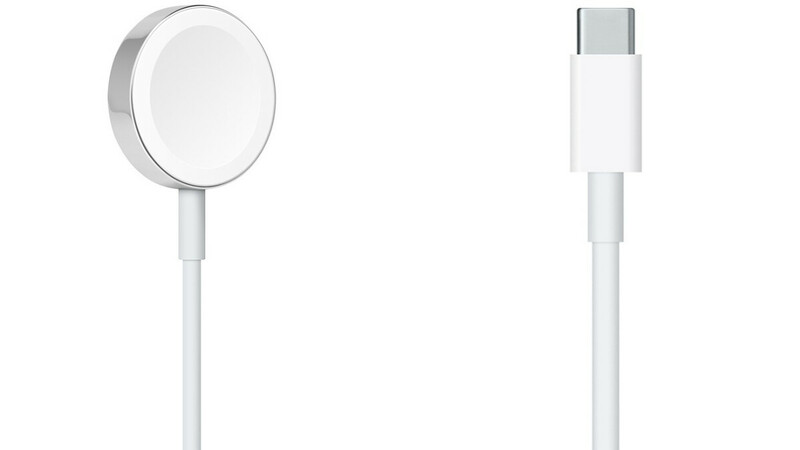 Even though Apple’s newest iPhones all come with proprietary Lightning ports, as well as Lightning to USB-A cables in their standard retail box, the company is (slowly) getting closer to universal USB Type-C technology adoption. The latest 12-inch MacBook line and the entire MacBook Pro family support direct USB-C connections, which will probably be the case for next-gen iPad Pro models as well. Meanwhile, a new Apple Watch charging option has been discreetly added to Cupertino’s official US e-store, including, you guessed it, USB-C compatibility. The Apple Watch is sold as standard alongside a 1 m magnetic charging cable featuring conventional USB Type-A technology, as well as a 5 W USB power adapter. Until today, you could only buy similar backup cables measuring 0.3, 1, or 2 meters in length, but now there’s also a USB-C magnetic charger up for grabs. The USB-C and USB-A accessories are priced identically, at $29 a pop, although for some reason, only an extra-short 0.3 m version of the former is available at the time of this writing. If you don’t have a problem with that, you can now snap your Apple Watch on to the new charger as easily as ever, and connect that to a USB-C power adapter. Just don’t expect any dramatic increase in charging speed. The same shipping options seem to be available as with standard USB-A Apple Watch magnetic chargers, so you can order this today and have it delivered for free on Wednesday, October 24, or book your in-store pickup for the same date. Series 1, 2, 3, and 4 Apple Watches are obviously all supported. Sounds like a desktop option to charge your watch from your MacBook? A bit pricey but I’m good with my standard lighting.